Paul Smit | Mick Palarczyk - Features, Photos and Text : Blog: Printed! 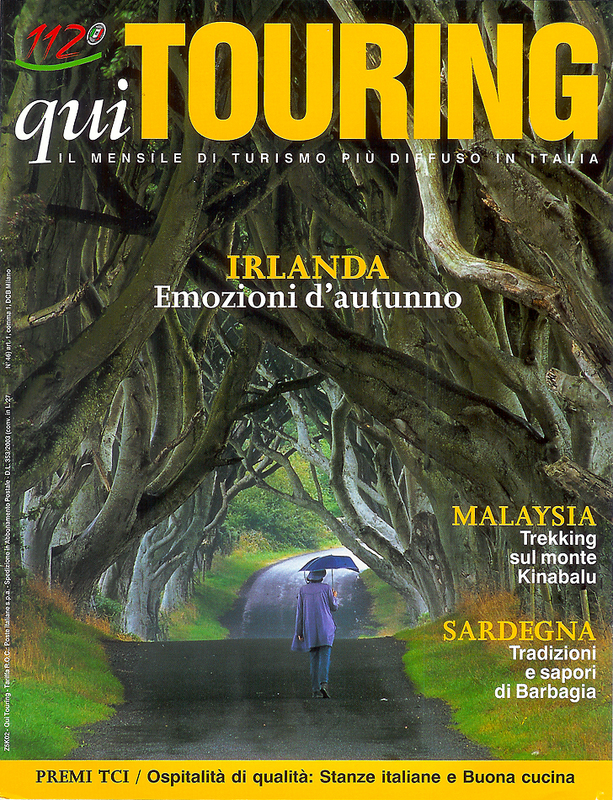 Qui Touring, Italy's largest travel magazine, published by Touring Club Italiano, selected the pictures that photographer Mick Palarczyk liked most himself. The cathedral of old beach trees on the cover, pictured during a drizzle, shows that you don't always need beautiful weather to take a beautiful photograph. And it fits the title: Autumn Feelings in Ireland. With the non-intrusive lay-out and maize-yellow as supporting colour - which doesn't show in the photo - Qui Touring sets quite an example in cover design. The lane of trees returns in the opening spread. 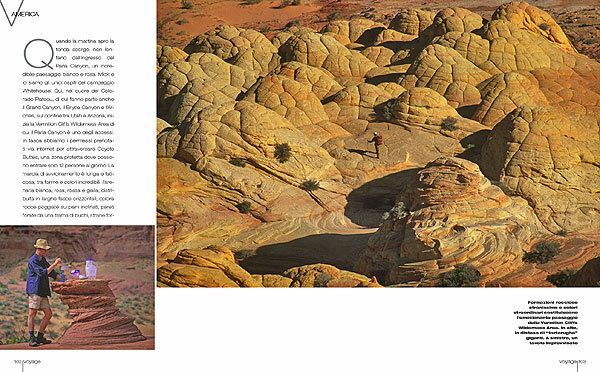 It's a different shot, where the hiker is even smaller amidst the giants that are as alive as they are old. Apparently it was this that led the editor to the title of the article: Ireland - Fearsome Beauty. The Italian travel glossy Voyage doesn't exist anymore. That's a pity, since our co-operation was rather special. 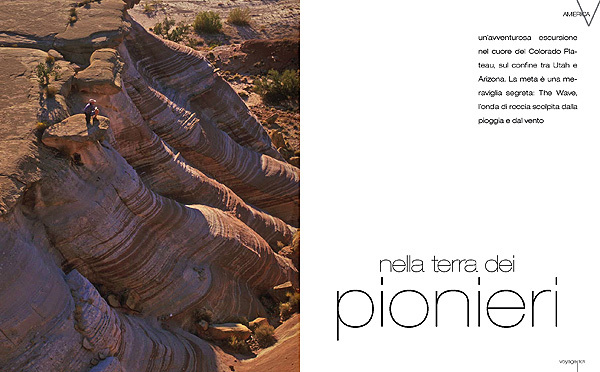 The editors wished to receive our digital images in exactly the needed sizes and output-sharpened. We could deliver that, because we received the exact lay-out they had made with our previews. This working method had advantages for both sides. The magazine saved on costs, while we as photographers remained responsible for the final quality of the pictures, like the exact croppings and the way the colours of the pictures related to each other. It led to the best possible lay-out, making the designer happy. And we were happy as well, since we had a say in the final results. 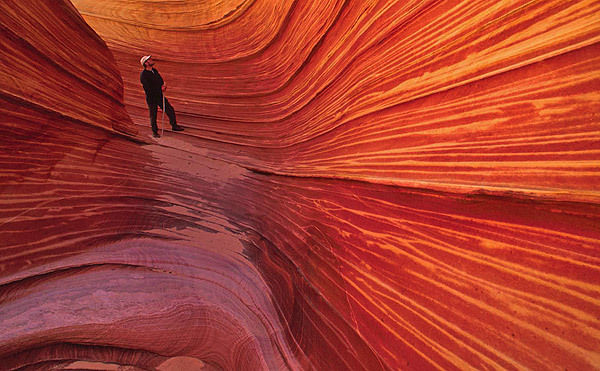 With the lay-out of In The Land Of The Pioneers, originally titled In Search of The Wave, Voyage emphasized the geological strangeness of the Vermilion Cliffs Wilderness. 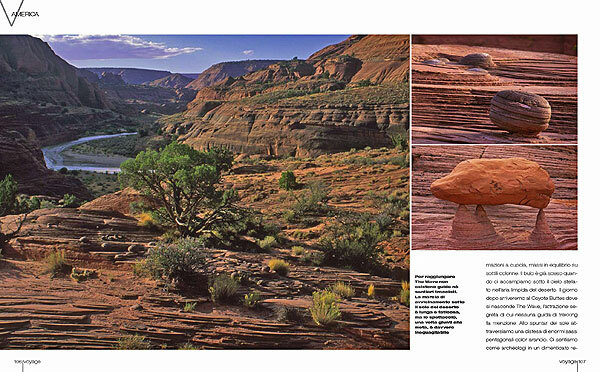 You can see the entire publication, which has been written by Paul Smit, with photos of Mick Palarczyk as well, here. The titel, a pun with Sonata in A Major, only makes sense in French, since la(c) means A and Lac Majeur means Lago Maggiore. 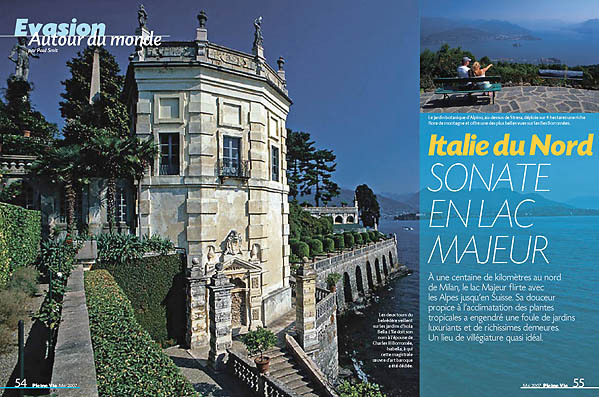 Seniors magazine Pleine Vie asked Paul Smit to write this new article to his already existing stock photos of the famous Swiss-Italian lake. For a foreigner (Paul is Dutch but moved to France) it is not easy to penetrate the French market. So when France's largest monthly, with a circulation of a million, asks you for a job like this, it means: welcome to France! Please have a look at the other pages of this publication.